Dynamicx paint a product of Brintaz and Dynamicx is the paint to beat in all kinds of buildings that requires nothing but 360 degree beauty and architecture.Dynamicx paint is the best choice for all your buildings whether bungalows,duplex,estates and more;it is an unregrettable choice for the job. 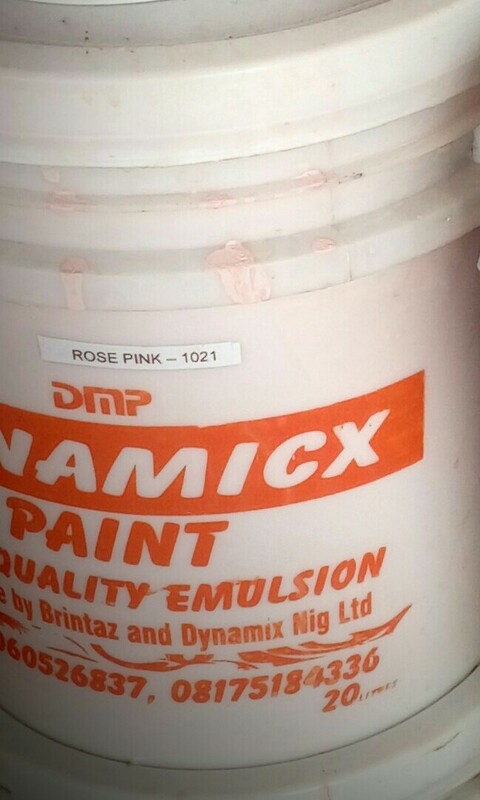 1.THICKNESS:When it comes to delivering paint that is sure to save you some cash,think of Dynamicx paint.Each drum and container is tailored to industry standard thickness that will see you demanding for more. 2.COVERAGE:With Dynamicx paint,the application of several coats to your building that would see you requesting or using more than required drums,sapping you of vital money is a thing of the past as Dynamicx paint is only applied on a one coat bases. 3.SPREAD:This is one important aspect of Dynamicx paint that allows your building to be covered with minimal drums or containers of paint as against many; in other words, doing the job of morethan one drum of paint with just one drum. 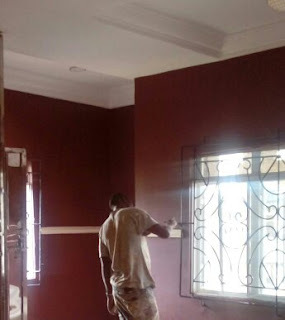 4.DUST:Situations were a person rest his or her body against a painted wall, only to find out that the affected area is stained by paint is non-existent with Dynamicx paint.Dynamicx paint does not dust as it is treated with the best dust preventive materials in the right quantity. 5.ALGAE GROWTH:Dynamicx paint has been formulated with industry best preservatives that fight against micro organisms that grow on painted surfaces,with Dynamicx paint the greenish things you see on painted walls are a thing of the past. 6.DURABILITY:Dynamicx paint is a paint you can trust as it is formulated to resist weathering conditions arising from UV rays and other conditions that cause discoloration. 1.EMULSION:Dynamicx emulsion is formulated to give your building the right touch of beauty that makes the eyes waggle. 2.TEXCOAT:Dynamicx tex is a stone base paint that is sure to make your building outstanding. 3.GLOSS(OIL):Dynamicx gloss is formulated to properly fit into your building with ultra shinning effect. 4.SATIN:Dynamicx satin which can also be washed when stained is formulated to give your building that executive look. Other products are Dynamicx Silk,Dynamicx Flex,Dynamicx Marble etc. 1.PAINTING SERVICES:Dynamicx proffesioner painters are always on ground and available to give your building the best painting touch for both interior and exterior surface. 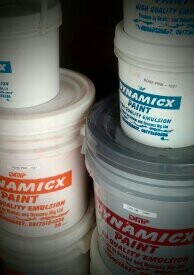 2.PAINT SUPPLY:Dynamicx paint makes delivery of products to required destinations nationwide. 3.CUSTOM COLOUR:Dynamicx paint undertakes the creation of colors personally brought by clients to meet clients request,matching color for color. 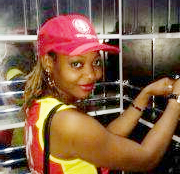 4.TRAINING:Dynamicx paint offers a 360 degree training to interested trainees from time to time in our facility. 5.SEMINAR:Dynamicx paint organizes seminars on how paint is made to interested groups and persons nationwide. 6.DESIGN:Dynamicx paint undertakes all kinds of painting designs like marble,ragging,sponging etc to give your building a super lift.